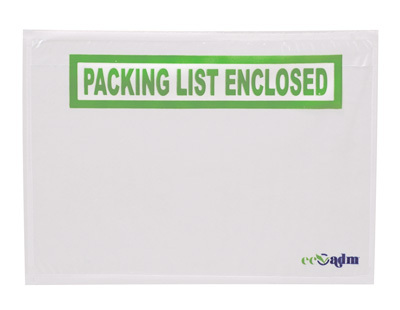 7-1/2" x 5-1/2" Eco Friendly Back-Loading Printed Packing List Envelope - "Packing List Enclosed"
Eco-friendly packing list envelope is made with polyethylene and an organic additive that helps to reduce waste in biologically active landfills. 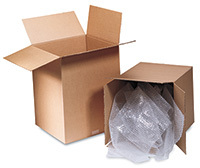 Just peel-and-stick to secure shipping and invoice information to packages. 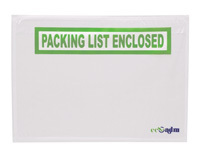 Pocket must be torn or cut open to retrieve documents. FDA approved for food contact.